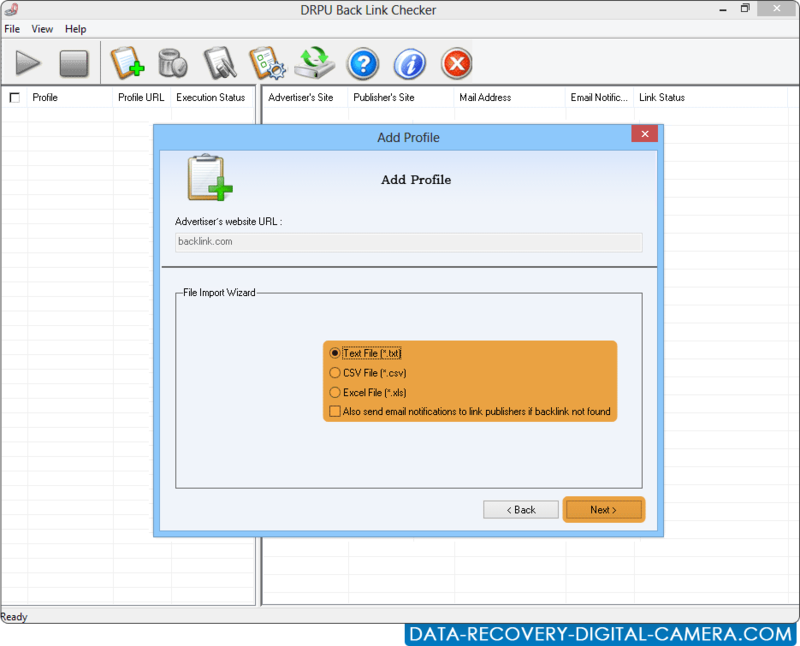 Data Doctor’s Backlink checker is used to get understanding of a website’s link popularity. Back link checker software helps to analyze the link status of websites and provides the facility to know the page rank of website for business purpose. Back link checker monitors the status of back links to your websites and monitors the link status of advertiser site to publisher sites. If the back links have linking errors including users website link is not found or page can not be displayed on publisher site then back linker checker sends an alert notification (by sending E-Mail) to the user about the non-availability of website link. Link checker tool is capable to detect links including java script link, link on publisher’s website or advertiser website link etc. Link checker tool find the website link status and generates the report in TXT or HTML Format for further reference. Back link checker checks the status of back links of your websites. Link checker tool monitors the link status of advertiser site to publisher site. Link checker helps to find out who is linking to your website that is responsible for overall website performance on the World Wide Web. Software sends an alert notification to publisher sites if link is not found. Software generates the report of total number links in text or html format for future use.